Thank you very much for the “Alternative scroll-to-anchor method” trick. I’ve been struggling with this bad positioning for a long time. That was so easy to fix. I did not notice this setting before. Shame on me. Thanks for this tutorial. 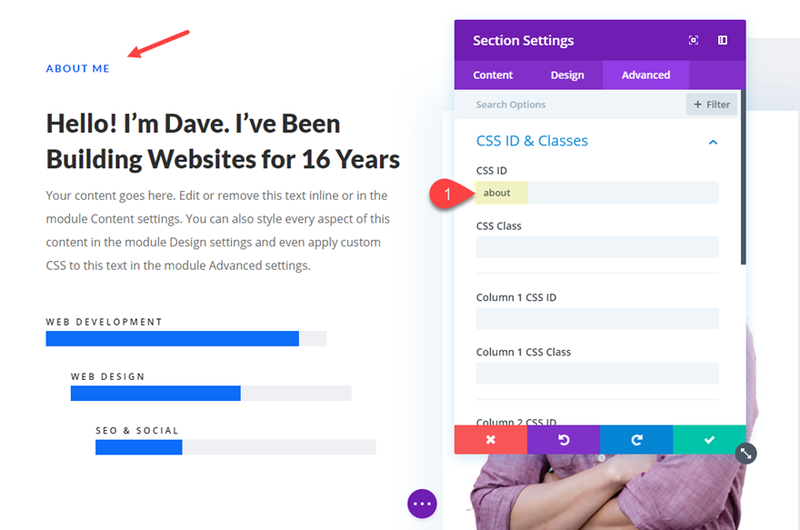 I’m using the Divi Slider Module. I’m trying to use the built in “button” feature in each slider to navigate to the next slide in sequence. Do you know how I can achieve that? I made an anchor link for a contact form which lives at the bottom of the home page. It works fine but now if you are on the Home page, both Home and contact menu items are the “active page” color. Is there a way I can make contact stay the inactive page color? …and as you describe, the Home link may go to “/” and the Contact link may go to “/#contact” – because both URLs are the same, both links in the menu contain the ‘active’ class and will both be styled accordingly. But the logic is, that if you’re on the homepage, you want the Home link to be styled active and not the Contact link. If you’re on any other page then the Contact link is still not active and shouldn’t be styled as such. So there will be no time when that Contact link should be styled as active. What we did was to edit the menu (Appearance > Menus) where you have entered the menu item for your Contact link, and on that page enable classes (at the top of the Menus page, click Screen Options, then enable CSS Classes). You can then add a class to your Contact link, such as ‘never-active’ (without quotes). In your CSS, create a style for the .never-active class that ensures that link is always displayed with the normal menu formats (whatever that may be – usually this will be a colour, but remember to check the :hover selector styles as well). Any way to do something similar to scroll and open toggle, but instead scroll and apply focus to a specific video in a video slider? Would be very valuable for simple LMS functionality. Thanks! Great work and laudable article. 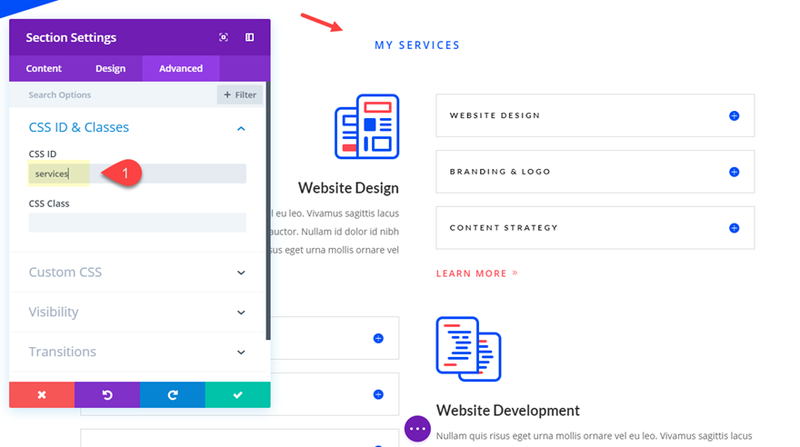 I find that this type of approach works well for smaller to medium sized websites that don’t require lots of pages and sub pages as you can fit the content onto 1 page in sections, with the menu items linking to each section. It’s also great to get your keywords into the content naturally for SEO reasons. Agreed. The one-page website navigation works best for things like landing pages or small websites. Sounds great, but I personally need a movie to understand it better… I give up reading very technical stuff halfway through, not because it’s uninteresting, but because I find it too complicated. Perhaps if visually explained, I might venture into it. I have tried two browsers (safari and firefox) and none of your graphics (images) are showing up. I’m getting the little blue box with a ? in it, or nothing at all. It is hard to follow along without the visuals. Any advice? The ability to use anchors in one page websites is really great. However, I have struck a problem when using the mobile menu on one page sites. The menu does not hide after a menu item with an anchor link is clicked. This is not a great UX as the page section is either partly or fully obscured (for example divi switch full page mobile menus) depending on what sort of mobile menu you are using. Does anyone know of a solution to this problem? here is the problem i am having. i am building a two page website and the menu will be using anchors to get to other parts of the pages. my menu is designed to have the page that is active be a different color in the menu so at a glance, you can look at the menu and see what page you are on. the problem is, if i have five pages in my menu, and 3 are via anchors, those three items are always a different color because it sees that you are already on that page and thus active. so, is there a way around this or do i have to disable this ‘different menu color’ feature? In “Create a One Page Navigational Menu” is not told/shown how I get the anchors into the menu. So how??? In my opinion, any article about dot navigation is incomplete without information on how to disable individual dots. This bit of CSS works for me. Thanks for the tip, Dan. You make an excellent point! To the folks having problems with this not linking to the right spot. I’ve been fiddling with this quite a lot, and it seems, that the link to a section on another page, actually makes that section load at the top of the browser window, but that any “fixed menu” is placed on top of that section, covering content. I found that the only workarounds are a) to avoid fixed menues, b) to use menus with lower height than the sections padding. Not exactly what I want, but ok. I hope this feature will be made available for the Extra theme. You can do all of this in Extra too. Thanks for the great article. I have been using anchor links on the site and it has helped cut down a lot of pages and condense lots of content into a single page. I have noticed and really like the new template you guys have been using for the blogs lately. Is there anyway we could get a sample of this template or tutorial on how to achieve it mainly the background with the two different colors at the top? Great article Brenda and thanks for linking to my ‘Using anchor links to open accordions and tabs in Divi’ article. Awesome! Thanks so much for the followup. I’m certain this will help a lot of people out. Ad and to the beginning and end of the script. Change #my-accordian twice into #my-accordion in the script. Add an extra bunch of accordion-items, to make the page actually scroll. The most adventurous that I’ve ever been is “Add Anchor Links to Your Headings”. Anything that is “… awesome for SEO.” always gets my attention. This is so so cool. Though it took me a little bit of time to comprehend. Thank you for providing this article, as it touches on a technique that I have used occasionally. Creating a page menu (links on the page that jump to another part of the page) works quite well. However, I have never been able to get this to work right when coming from another page. The link jumps to a spot below the desired spot. I believe this has to do with the way the header of the page is formatted or executed. 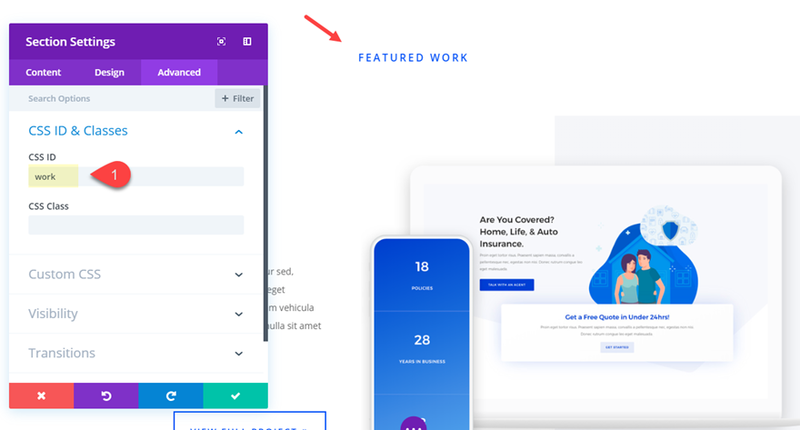 It may have something to do with the fixed header option because the landing spot (coming from another page) may be offset by the same height as the page header. I’ve solved this by placing the anchor ID higher than the position where I want the link to land. This is imprecise and will change when you add additional content to the page. 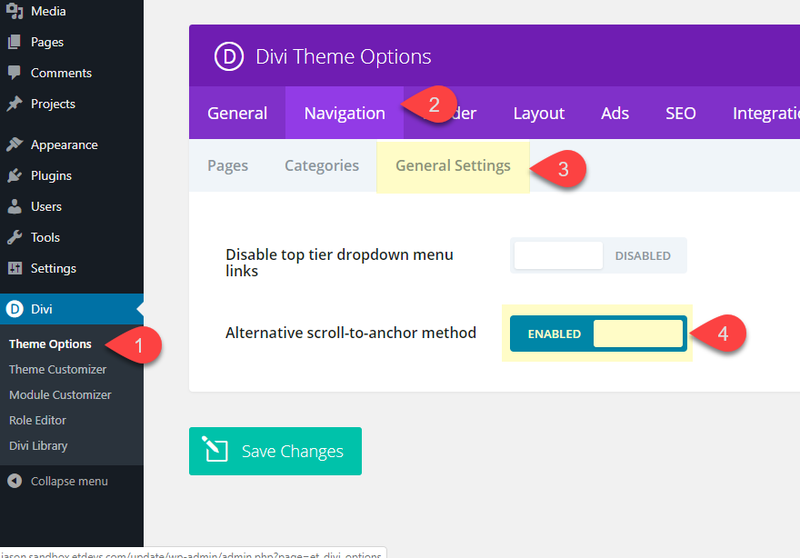 I’ve found this on more than one Divi site and using another site using a theme that comes with Visual Composer. Brenda, have you found that the anchor links work exactly the same way, when on the same page or coming from a different page? 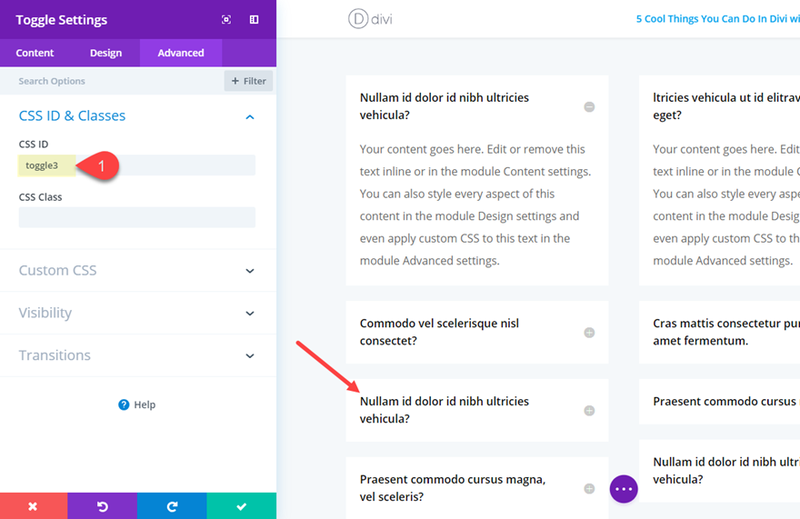 Did you try to set Divi options > Navigation > General Settings > Alternative scroll-to-anchor method ? I found a solution that seems to work well. 1. Measure the height of your header. 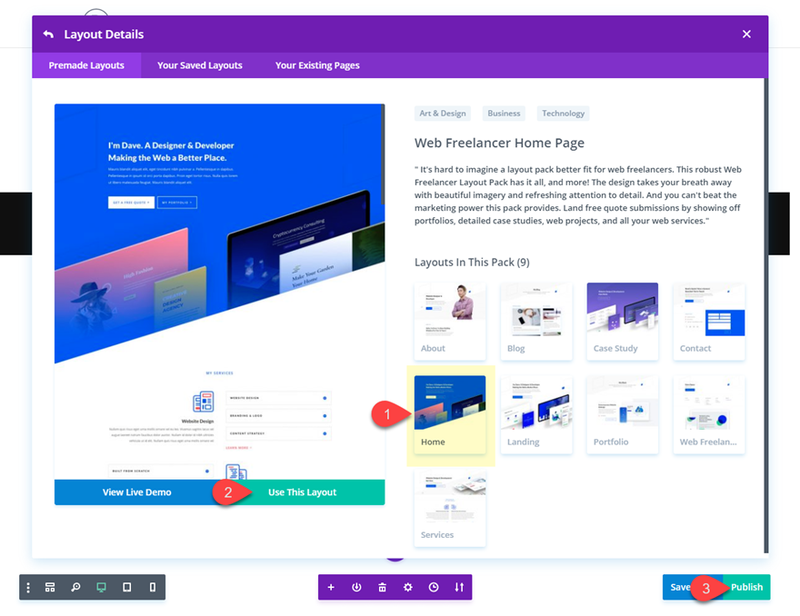 This is working quite well on a non-Divi site built with Visual Composer, and it’s working on a site I’m building with Divi. No guarantees that this will work, but if you’re having the problem I described above, it’s worth a try. Yup this is the issue I was asking about. I’m having a lot of trouble fixing it. I’ve tried two different CSS solutions with inconsistent results depending on whether the click comes from the same page or another page. Would really appreciate an official response for this. I have a site with a fixed menu and the headings are getting hidden underneath when using anchor links. 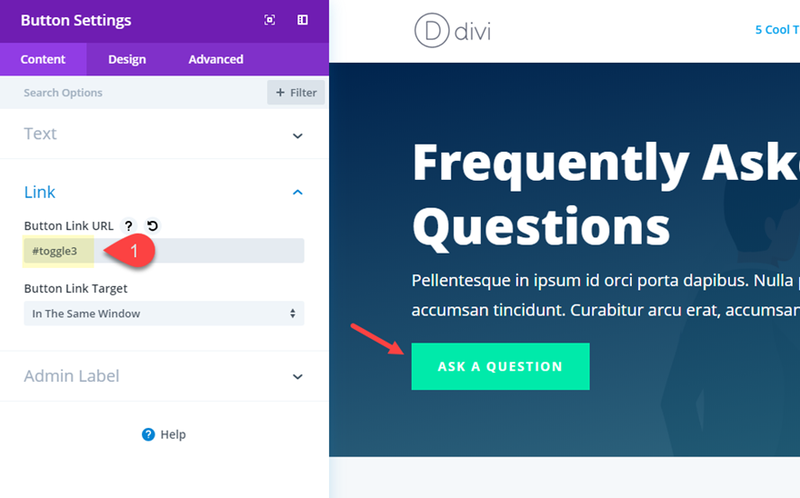 What’s the best way to fix that in Divi? I think so too – some good tips here though.